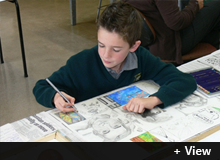 Students are provided with numerous opportunities to create and learn about various forms of art. There are opportunities for extension students to participate in a variety of new experiences. Some out of school art classes may be available. Students have the opportunity to participate in the choir and school bands. Instruction is given to all children in reading and playing music, dance and drama. Out of school music classes are available for clarinet, flute, keyboard, guitar, drums and saxophone. School wide singing and the performing arts are a strength of the school. Students are introduced to a set of technological areas that include electronics and control, food, biotechnology, materials, structure and mechanisms, and information and communication technology. 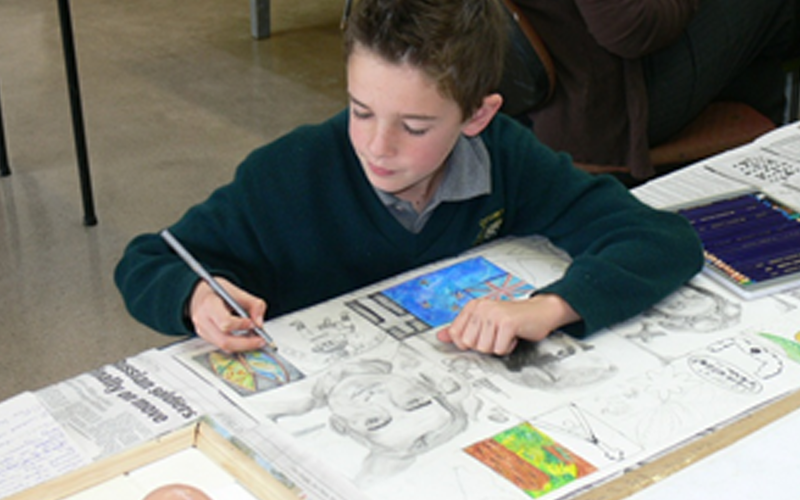 These programmes have a focus on hands-on activities, and students work with a wide variety of materials such as wood, metal, plastics, food, fabric and other mediums to achieve their design solution. Students are introduced to key concepts from the Materials World and Physical World strands of the science curriculum. This builds a solid base for students in Physics and Chemistry as they enter secondary school. The school applies a variety of approaches to the use of Information and Communications Technology (ICT) in learning programmes. The school has an ICT specialist teacher who teaches all students the use of ICT skills including advanced web design and internet applications.. All classes have access to a state of the art Research Centre and mobile technology. Teachers use a high level of ICT integration in their classes, which includes a mix of mobile devices, computers and other equipment. This is to cater for students entering our school with expertise in ICT. Students are also given the option to purchase their own laptop computer for use in class. These students are usually grouped together in laptop classes but a number may also be clustered in other classes or use them as individuals throughout the school.